Drain OUT® Septic System Treatment is a convenient, easy to use, pre-measured septic tank and system treatment formulated with billions of bacteria that provide continuous and effective septic system maintenance. 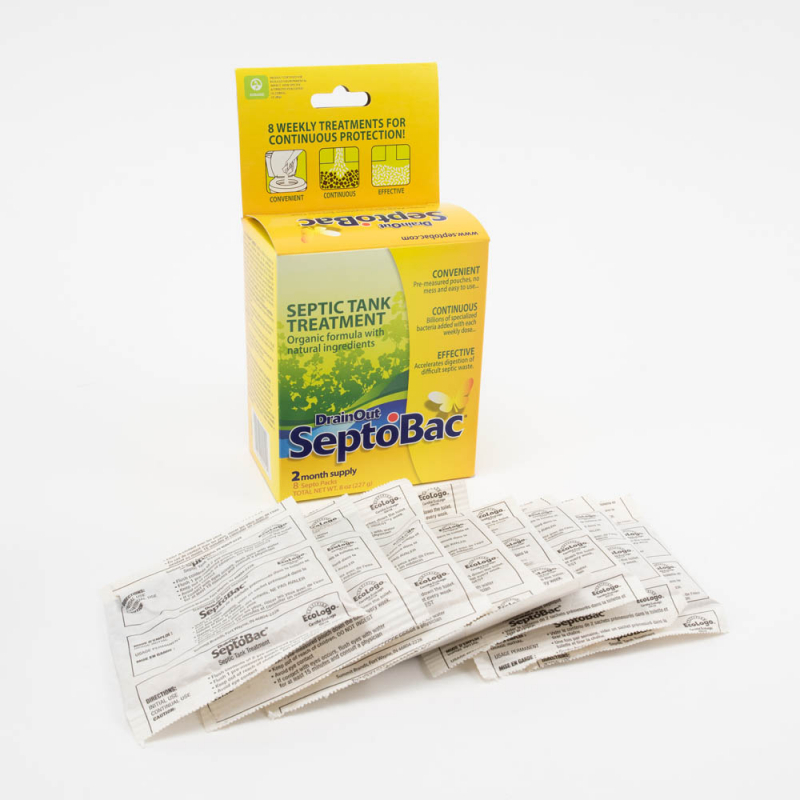 The bacteria, specially selected by leading environmental scientists, produce enzymes which accelerate digestion of both organic and difficult-to-degrade septic waste such as paper, wipes, cleaning and laundry chemicals, oils and grease. 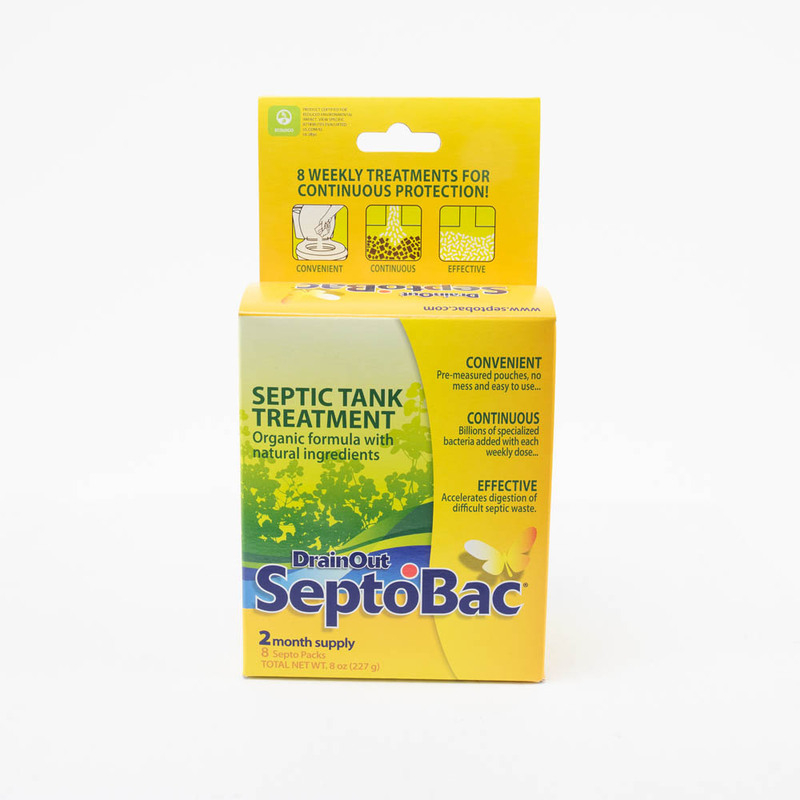 These special bacteria strains also have greater resistance to anti-bacterial soaps and cleaners, which can reduce bacteria in your septic tank. 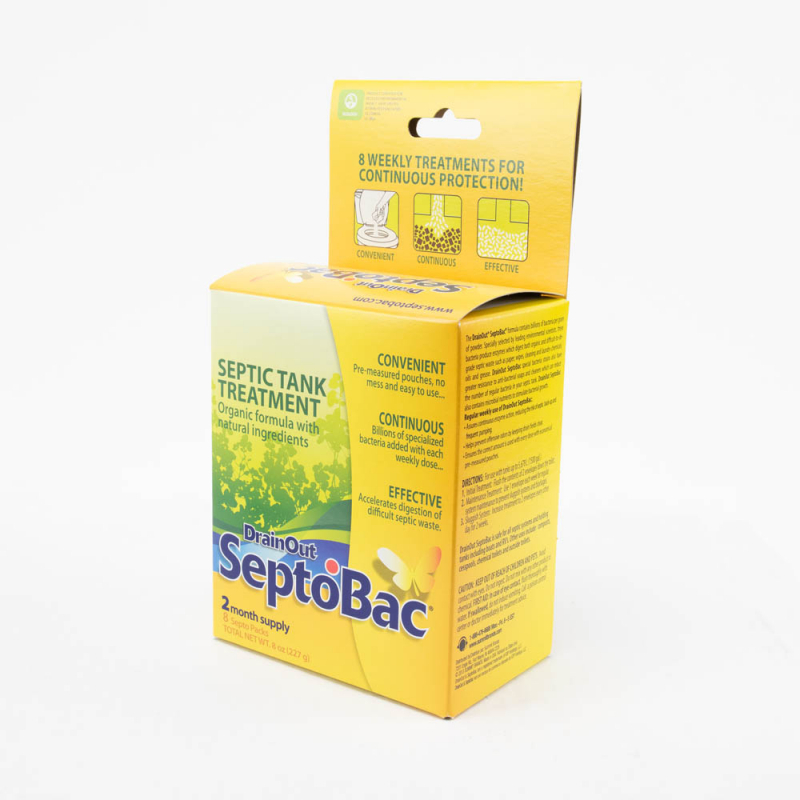 Drain OUT septic tank treatment is formulated with microbial nutrients that stimulate bacterial growth to help fight against septic back-up. 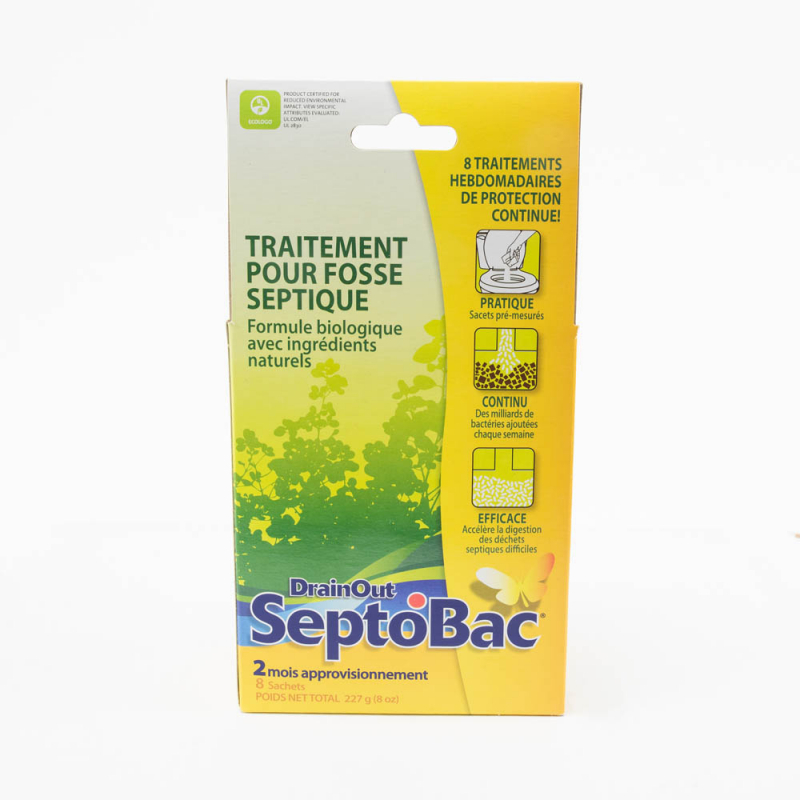 Regular use assures continuous enzyme action, helps prevent offensive odors and ensures a healthy septic system. looks like it will do the trick time will tell. As far as my knowledge of septic tank funtions, this does it's job! First try on this product. Seems like a good idea for an older system like mine. One packet a week for 8 weeks should help. Antidote to detergents, etc., boosting the beneficial bacteria to keep the tank and more importantly the leach field operating.